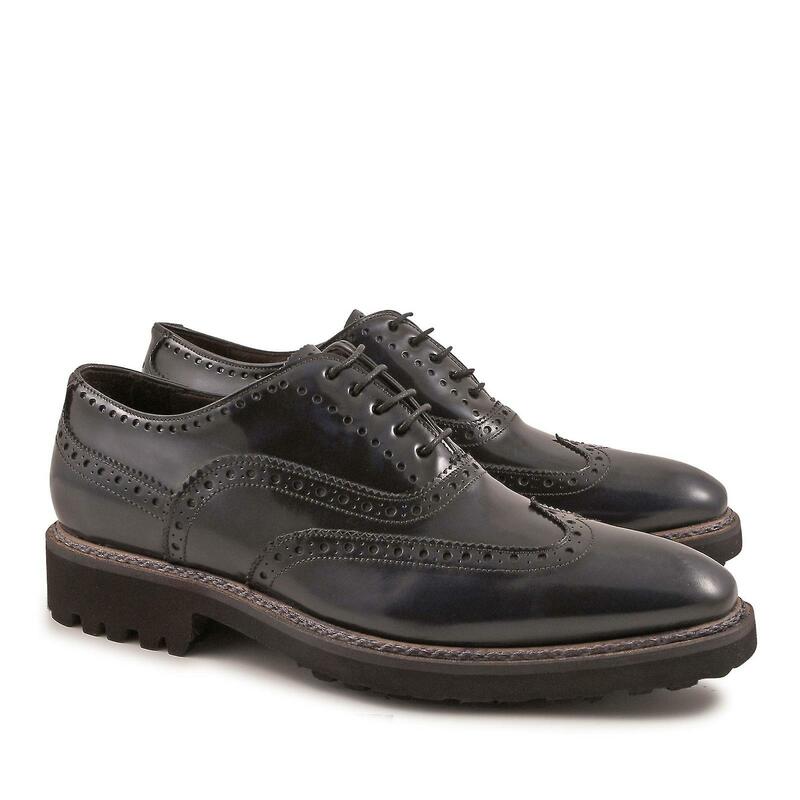 Handmade dress-up brogue shoes in blue lux calf genuine leather with rubber sole. Made in Italy. All our merchandise are immediatelly available shipped in 24h from order with DHL or FedEx courier with delivery in 2/4 days all around the world. All shoes are hand crafted from italian artisans with an unique style designed from the stylist Leonardo.